A 24 carat gold primer? Yes you read correctly. 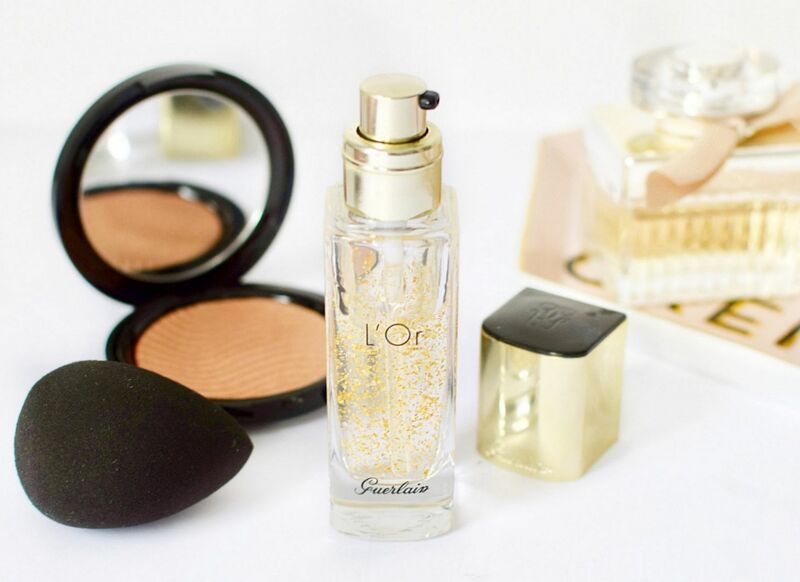 Guerlain’s L’Or make-up base has pure 24 carat gold flakes within it. This and the fact it looks gorgeous from the outside, made me want to try it. I do love a face primer, but more times than not however I’m left a little disappointed with them. I do have a few favourites, which include Marc Jacobs Coconut Primer, Giorgio Armani Fluid Master and now Guerlain L’or. You may have noticed a trend here with these, they are all hydrating primers. I find that is what works best for me in my make-up routine and so hence why I was pretty eager to test out Guerlain’s L’Or. 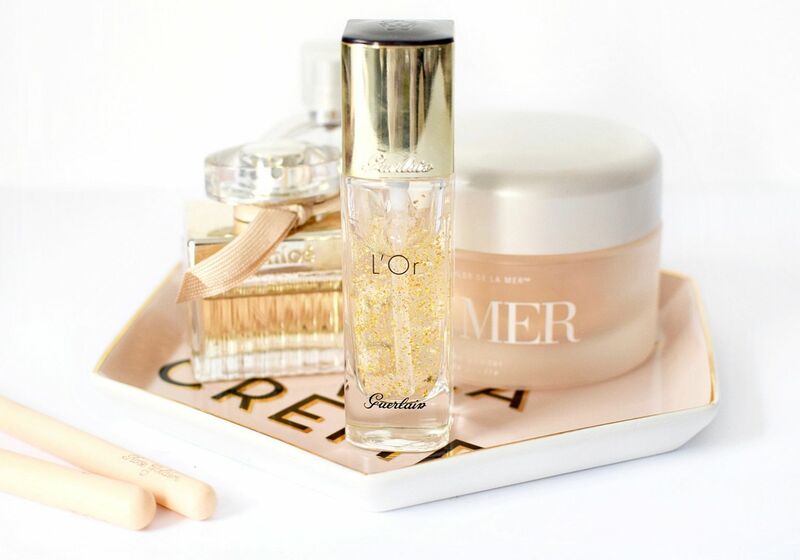 The primer has a clear gel consistency and the 24 carat gold flakes are mixed within the gel. The flakes disintegrate into the skin on application, which is what gives this primer such an illuminating glow as they are ultra reflective on the skin. Now when a product claims to give a glow, I am usually pretty skeptical but with L’Or it really does. I was pretty took a back the first time I used it. The texture is like satin on application, not rough from the gold flakes as you would maybe imagine, just super smooth and makes my skin feel really rather lovely. It is not sticky in the slightest but it does definitely stick to the skin. I can feel it creating a film like texture over my skin that leaves it hydrated and ready to grab my foundation onto it. I can definitely see my skin looking more glowing after using this and my foundation goes on so well and lasts throughout the day without any patchiness. The Guerlain L’Or Radiance Concentrate is £46, so it is on the pricer side for a make-up base, but I will definitely be picking up another bottle when this one runs out. It’s definitely the best primer I have ever tried and I’m hooked.